Although poetry is one of the oldest art forms and cinema one of the youngest, a symbiosis exists between the two — an interchange of metaphor, rhythm, point-of-view. No surprise, then, that so many contemporary poets write about film and the magnitude of its effect on modern life. 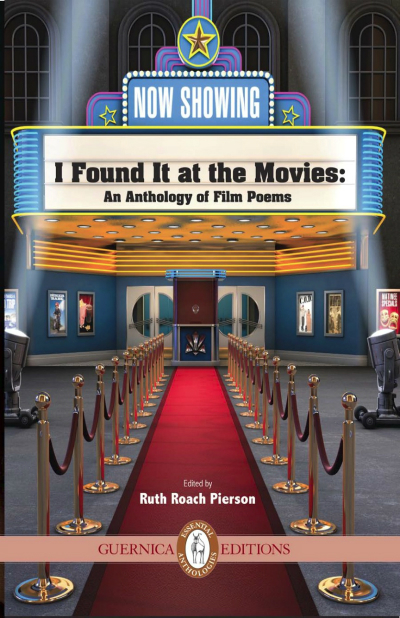 Featuring work by some of the most acclaimed poets writing in Canada today (and three from the USA), I Found It at the Movies includes poems inspired by the full range of cinematic history — from silent films to blockbusters, from neo-realism to cartoon, from Fred Astaire to vampires, and from all around the world. Entering this collection is an experience as beguiling as a trip to the movies itself. Among the poets included: Margaret Atwood, Don McKay, Michael Ondaatje, Steven Heighton, David W. McFadden, Karen Solie, Marilyn Bowering, Julie Bruck, Stephanie Bolster and Ken Babstock.